Finalizer 96K, Dynamic Processor from TC Electronic. The Consumer's review"ADC/DAC Capability is not emphasized NEARLY ENOUGH!" Described as "complicated" often in reviews, but I found it relatively easy to wrap my brain around. Some other goon described it as being "tube based", which is absurd (as you have probably gathered already), but the effects are totally artifact-less, which is nice, but can be modified to add some grunge (try going a little nuts with the Normalize function). Okay, so, for the $549 price tag, I couldn't pass up the opportunity to use the thing solely for its "insert" capability. Here's the scenario, I have two effects units that I am really fond of, but the build-in ADC/DAC components are garbage. 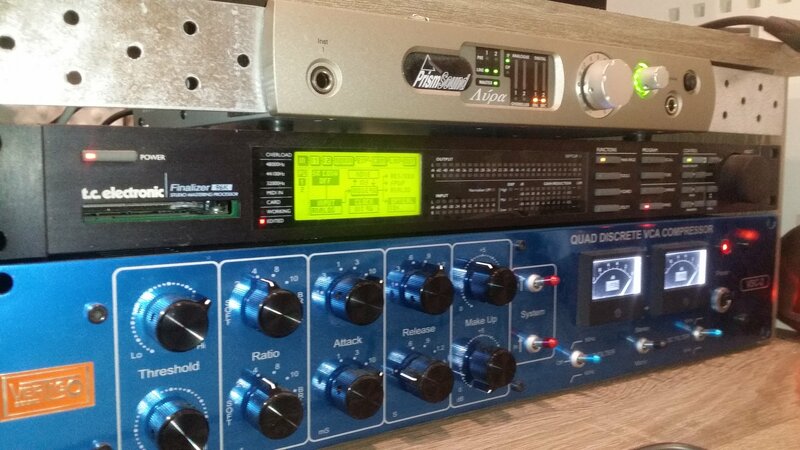 What I wanted to do was chain the effects via the s/pdif i/o... Here's where the Finalizer made itself awesomely useful. I made use of the first insert, making the Finalizer use the s/pdif i/o as a digital insert. I was able to make use of the superior ADC/DAC components in the Finalizer 96k, and, when I want to, I can make use of the additional utilities in the box, which are snazzy. Buying a comparable ADC/DAC (lucid 88196 comes to mind) for the same purpose would have cost me 2 to 3 times as much. Aaaaawesome. Also, I need s/pdif (which the lucid doesn't have), not AES/EBU, so, yeah, there's that. Pristine. No artifacts, great noise floor. Perfect for my needs. If I needed to replace this thing, I think I would now have to pay fair market value, but it'd still be worth it. yoTrakkz's review"expensive and worth it"
The TC Electronic Finalizer 96K is a single channel compressor that is analog and is tube based. It is rackable and has XLR connections. The all tube and analog inlay of this unit makes for a great warmth and fullness not achieved with your standard outboard compressor plug in. The configuration is pretty basic for an outboard compressor and is easy to setup. I've never had to use the manual so I can't say how useful it is - it is really easy to control and I'm not sure the manual would teach me much I couldn't figure out by simply just using it. If you have access to the manual though, I would take a lot at it as I'm not sure what the information that it possesses is. The TC Electronic Finalizer 96K is as warm as any compressor I have used. This compressor works great on vocals, but would probably sound good on anything that you would want compressed including drums, guitars and bass. Its extremely easy to get a nice sounding, full sounding compressed signal with. I track vocals with it all the time, and it adds a loudness and warmth to it that I can only get with real tubes like this has. I've been using the TC Electronic Finalizer 96K for about a year. It is one of my favorite compressors and have always heard good things from other people about how much they like it. It it one of many compressors that I use, but if I only had to use one this certainly wouldn't be a bad choice. I can't say enough about the unique warmth that this adds, and while it definitely costs a good amount of money that most home studio owners can't afford, it is a top of the line compressor that is used in a professional studio environment. It can color the sound with warmth or you can get a cleaner signal depending on the way you set it. Overall this is my favorite TC model even though they make a number of great sounding compressors. 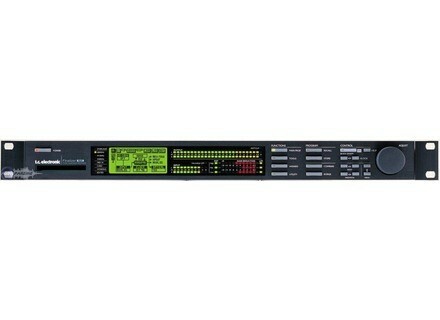 The TC Electronic Finalizer 96K is an all in one mastering unit. It is a unique piece of gear as I haven't used anything like it. 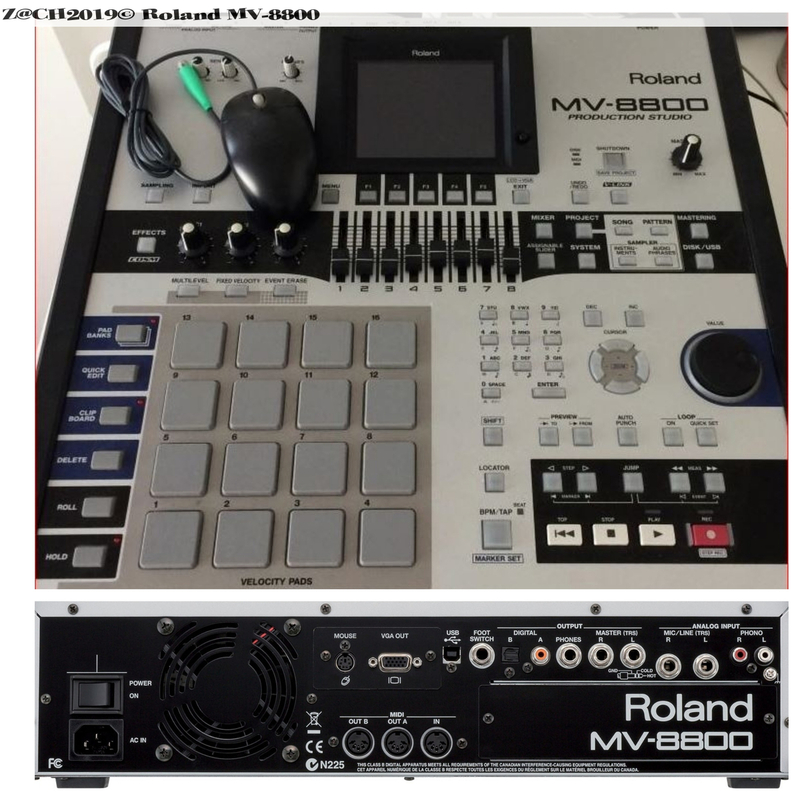 It has a variety of connections including 1/4 inch, XLR, MIDI, and ADAT. This is a digitally based unit and will take up a single rack space in a traditional rack mount. The configuration of the TC Electronic Finalizer 96K does take a bit of time to get used to simply because there are so many features and so much going on here. Since it is a digitally based unit, there are tons and tons of different screens that you can make your way through in order to get different sounds. In addition to the LED screen, there are also a variety of external buttons including sections for functions, program, and control. While it will take a bit of time to get used to everything going on here, once you have mastered it the amount of sounds that are possible are pretty much endless. The manual for the TC Electronic Finalizer 96K is put together well and is definitely a good thing to have around when trying to figure out how to use everything on this unit. 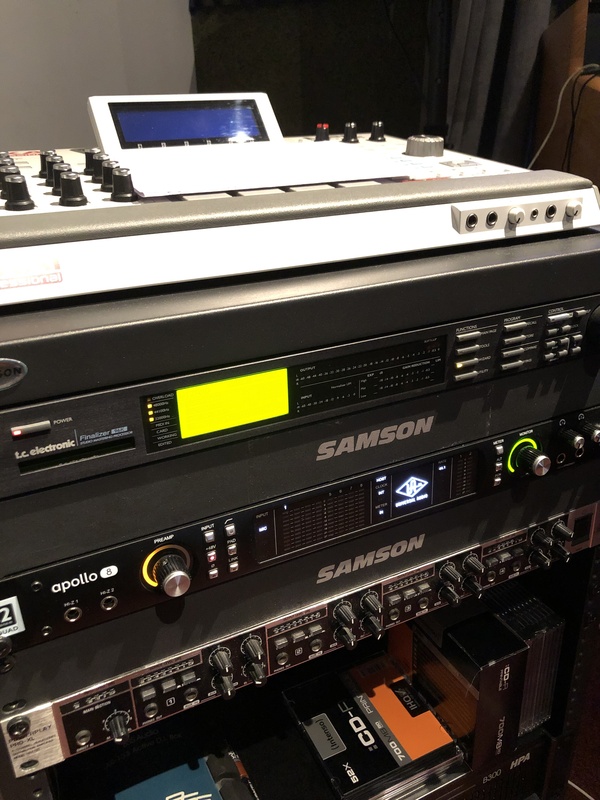 The TC Electronic Finalizer 96K is probably the closest thing that you can get to an all in one mastering unit that doesn't compromise sound quality. Most all in one units like this one end up not sounding all that great, but I'm a fan of most of the sounds that I can get with this unit. While I would probably rather master something using a variety of different gear, this does make it quite easy to dial in a master. I have only used this for mastering as that is what it is made for, but if you wanted to use the effects for mixing or other uses, I don't see why you couldn't do so. 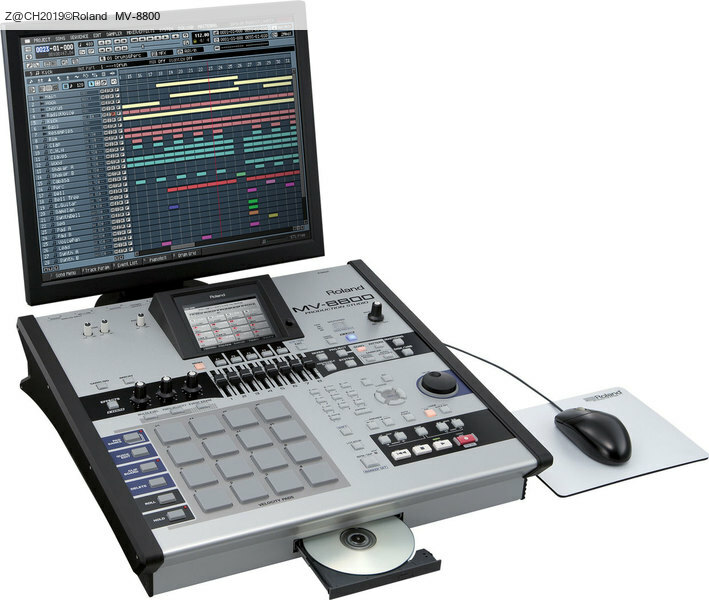 Whether you are a home or professional studio owner, the TC Electronic Finalizer 96K is something that you should look into. However, most home studio owners probably won't be able to afford the hefty price tag. This is the only downfall of this product as it doesn't make it accessible to those on smaller budgets. You must consider though that this is a high end piece of gear and is aimed at those who want something to master with easily regardless of the price. All in all, the TC Electronic Finalizer 96K is absolutely worth a look for those who want a great sounding all in one mastering suite. It is a device mastering numrique Stereo (96kHz) 3 bands of frequencies. The config is it simple? Ben uh ... It is possible and I understand what I do. The edition is relatively comfortable. Warning: since the first el Tajo is a normalizer, the output level remains almost constant. The output level is adjustable, although sr via the front controls, but it's not very practical. That's why they offer an optional "master fader" external. The effects are effective, it has sr! A mix of full Live is a formidable efficiency. I've had a little over a year. At the point that it is hard to do without. The variation of Stereo 3-band image allows thunderous things too. I would do if this choice? You do not have one for sale? I'm looking for a second!